The layman has some preconceived notions of what may offer the best asset protection. Surprisingly, most of the strategies commonly believed to protect assets do not, and some may even cause more harm than good. What is the best asset protection money can buy? 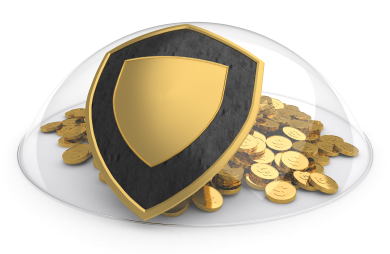 What is the best asset protection? Many people ask me to cut to the chase, especially those that are self-employed, wishing to safeguard their assets from bankruptcy, lawsuits, long-term care costs as well as many other financial pitfalls. Often these business people look to what is easy and on the surface. That which is easy and that one can do themselves is not always the best option. One of the first things people think of to preserve assets for their heirs is to just give it to them. The gift is already made, so the assets are safe, right? First you must wait for the 4-5 year lookback for gifts (it varies in every state). If one is within that timeframe, a creditor can convince a judge to order a clawback. Yes, a clawback is where the assets that would have been available for the creditor are forced back to the defendant in order to pay off that creditor. Assuming one get beyond the 4-5 year window, we will consider another pitfall with this strategy. Many children are not quite as responsible as one might hope. Let’s say Mr. and Mrs. B have $500,000 sitting in an account and they don’t really need it to live. They don’t want to lose it to medical bills, so they decide to give it to their daughter. Their daughter is a graduate of a well known college and has a great job. Soon she is promoted, celebrates a little too much and smashes into an oncoming vehicle. Is that $500,000 safe now? Others think an LLC is the answer. They take what money they have, start an investment LLC and continue to run that LLC as if it were their own money. They think because they filed a piece of paper, that the assets are safe. Well, a good lawyer will “pierce the corporate veil.” This means they will prove to the court that the LLC is actually a front for the person who owns it. The attempt to safeguard the assets actually makes them not safeguarded. There are so many rules surrounding LLCs and other corporate hybrids, that it would be difficult not to run afoul of them and subject assets to outside creditors. Next, people put assets into revocable trusts in order to bypass probate court upon their death and leave specific instructions for the distribution of those assets to their beneficiaries. They mistakenly believe that their assets are safe for the next generation. The truth is that aside from protecting against a few attorneys fees upon their death, they didn’t protect anything. The simple truth is that anything that one can get control over, a creditor may get control over. So the fact that a trust is revocable, meaning it can be tossed aside and the contents recovered means that there is absolutely no protection from creditors, the nursing home, Medicaid, etc. Lastly there is the irrevocable trust; specifically an irrevocable trust with an independent trustee. The irrevocable trust ranks at the top of asset protection in this group. One of the keys to good asset protection is the art of not owning anything. With an irrevocable trust, one can own nothing and still continue to enjoy assets as if they did; and the courts have supported this for 150 years – see some of the most important cases here. An irrevocable trust has advantages of all of the above methods of asset protection with none of the pitfalls when properly drafted, executed, and funded. First, this asset protecting vehicle, like giving the assets to one’s children, gets the assets out of one’s name. After the assets are in the trust when properly drafted, executed, and funded, anybody suing cannot get at them, because the person that created the trust can’t even get at the assets. Furthermore, the children’s creditors don’t have access either. So the assets sit safely in trust waiting to be distributed to the beneficiaries (more on this later). Moreover, the assets in the trust won’t be seen by anyone trying to discover one’s personal wealth. This has the added bonus of privacy and discouraging would-be contingent fee lawyers from even taking on a case in the first place. The irrevocable trust can also hold an LLC thereby doubling the LLC’s asset protection qualities. Now if a lawyer should try to pierce the LLC, they would only end up in the irrevocable trust. If the LLC is the only thing in the trust, then the creditor has nothing to collect. A separate irrevocable trust would hold the rest of the assets far away from the LLC and far away from creditors. Like a revocable trust, an irrevocable trust can instruct the trustee who, what, when, if and how assets are distributed. Unlike the revocable trust, because the grantor can’t get to the assets, neither can anyone who wishes to collect from the grantor. These instructions are almost limitless and last long after the death of the grantor. Let’s say that a parent values education. They could put right in the trust that the trust will pay for education and if the child earns a college degree, then they get Â½ of the assets at that time and Â½ at age 35. Basically, the trust is flexible enough that a grantor could set up goals, objectives, or incentives just like if they were alive to see it. There may be some more expensive ways to safeguard assets, but for the most bang for the buck, an irrevocable trust is the best asset protection for the average person. In fact, the irrevocable trust can be found in the estate plans of the super rich also. A good solid irrevocable trust can protect and provide for a family for years with the assets safely tucked away.